Relic Instagram Feed is the most advanced instagram showcase plugin for WordPress and WooCommerced websites. Easily pull in your instagram posts on your blog. 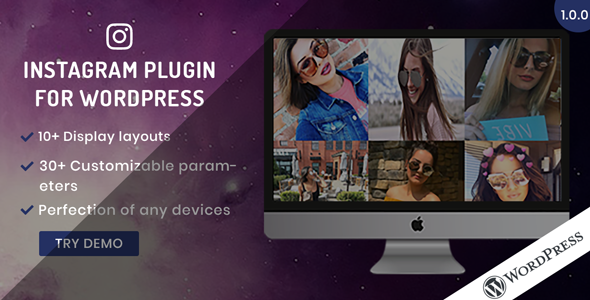 This plugin includes 11 different layouts and can be easily placed anywhere using shortcode. Relic Instagram Feed can pull posts using a specified instagram user or a hashtag. The looks and feel of the layouts can be easily customized to fit your website.